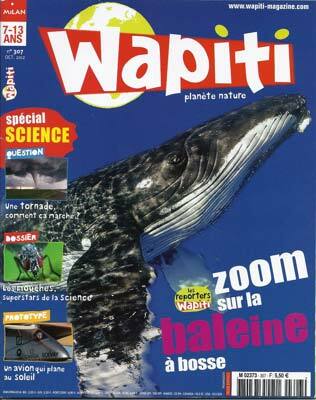 Wapiti – October 2012 issue – This French magazine is destinated to Children (7-13 years old) and proposes every month, different subjects related to Wildlife and Nature. In order to illustrate the Northern Lights phenomenon, my photo of the aurora with the tipi had been chosen. 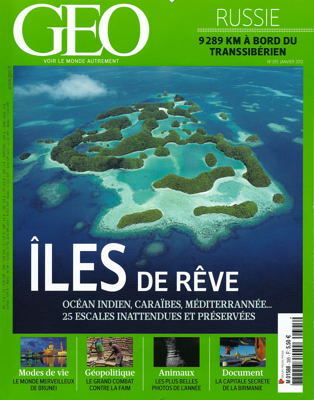 Geo (France) – January 2012 issue – Among few others photogarphies awarded at Veolia BBC Wildlife Photographer of the Year 2011, introduction of my Muskoxen “charge” image and some words about my passion for Arctic lands. 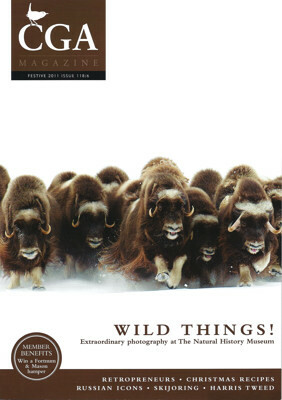 CGA Magazine – Country Gentlemen’s Association Magazine – 2011 issue – Scottish magazine including an important highlight about Wildlife Photographer of the Year 2011 competition with my awarded Muskoxen “charge” image chosen as cover page. 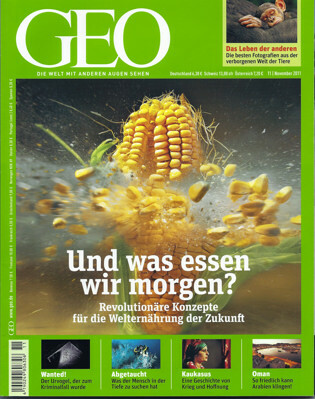 Geo (Germany) – November 2011 issue – Complete introduction of the Wildlife Photographer of the Year 2011 compeition with winners’ images including my photo of the Muskoxen “charge”. Nat’Images – December 2010 issue – The Arctic Wolf. In this issue, the magazine wanted to present a serie of reportages dedicated to Nature Photo in extreme cold conditions … one of my favorite subject. This was for me an opportunity to introduce the Arctic Wolf and the Land of the Inuit People : the Nunavut, and more precisely Ellemere Island. 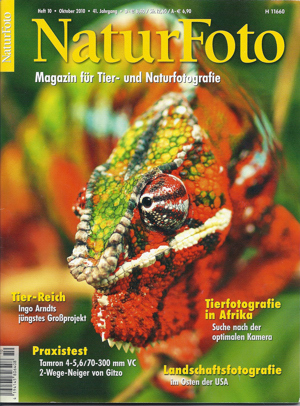 Naturfoto – October 2010 issue – The Great Rain Forest. This article is deep dive into the secret land of the elusive Spirit Bear (also called Kermode Bear). In the heart of this extremely dense vegetal World, where mosses cover every square meters up to the branches of the trees, you might also encounter Black Bears, Grizzly Bears, Bald Eagles, Wolves, … and you will be warmly welcomed by First Nations People dancing for you in their Great Houses surounded by huge Totem Poles. 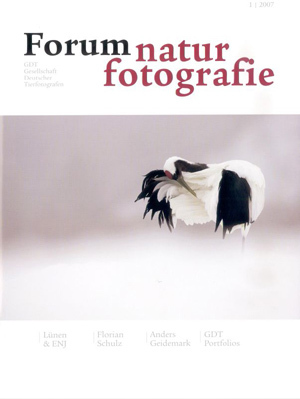 GDT Forum Natur Fotografie – January 2007 issue. GDT is a German Association of Wildlife Photographers (please see GDT web site at Link section). Four times a year, a magazine is issued introducing the work of Photographers, members or not of the Association. The present issue included a brief description of my portfolio and my background. 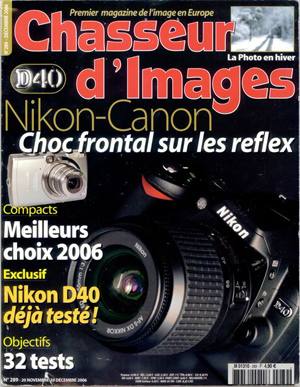 “Chasseur d’Images” – December 2006 issue. 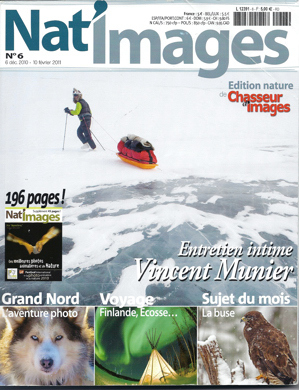 “Chasseur d’Images” is a famous French photos magazine. 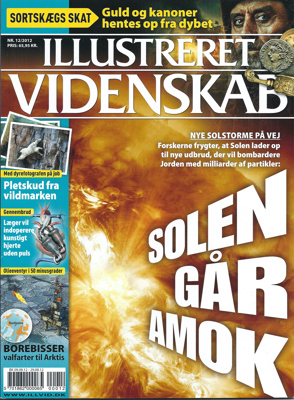 In this issue an article had been dedicated to photography in winter conditions and illustrated with some pictures I had taken in the Arctic during previous adventures. 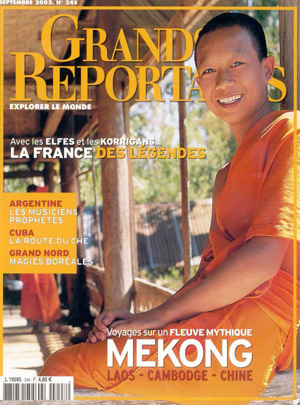 “Grands Reportages” – September 2002 issue – Kamtchatka. Every September in Siberia, the Arctic Toundra offers to travellers the multicolored show of a boreal autumn. But here, in Kamtchatka (Far East Russia), the permanent volcanic activity of the Peninsula adds on top of this vegetal mosaic, a supplement of unexpected colors. The only means of transportation available there are 6×6 trucks or helicopters. The article unveils such different regions as Central Kamtchatka, Uzon Caldeira, Tolbachik and Karimsky volcanoes areas. 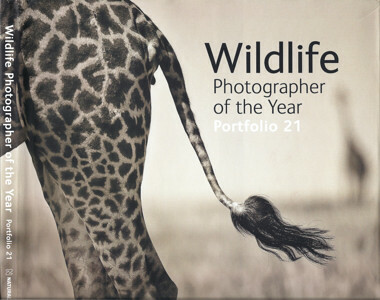 Wildlife Photographer of the Year 2011 – Portfolio 21 – Includes all winners’ images of the 2011 competition organized by the London National History Museum and BBC Wildlife magazine (and Veolia Environnement as sponsor). The Muskoxen “charge” is inside in the Mammals Behaviours section with “Highly Commended” mention. 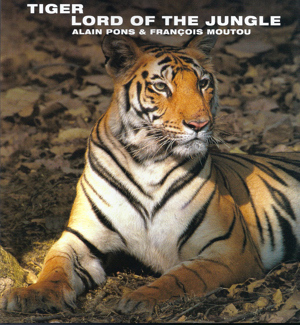 Tiger : Lord of the Jungle – Alain Pons and François Moutou – Editions EMB 2010. This book is an exhaustive introduction of our last knowledge about Tigers in the World and targets to make us understand why this superb animal is currently on the way to extinction. Some of my pictures taken in Far East Russia illustrate the chapters focusing on the Siberian Tiger and his envionment. 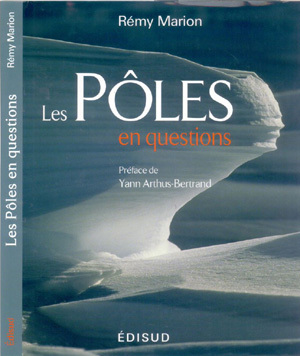 Les Pôles en Questions – Rémy Marion – Editions Edisud 2007 – In his new book, Rémy answers to many questions related to the impact of global warming on the Arctic and Antarctic Wildlife and environment. Some photos taken during my trips in these regions illustrate differents aspects of the North. 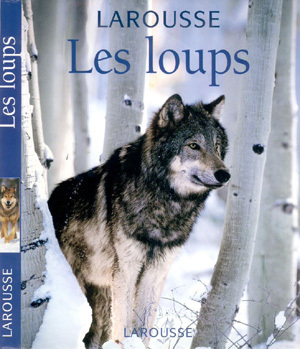 Les Loups – Geneviève Carbone – Edition Larousse 2003 – This book is an exhaustive presentation of the Wolves written by French Biologist G. Carbone. Wolves biology and behaviours are addressed and detailled, as well as the history of their old relationship with Humains. Arctic Wolf is illustrated with pictures I had taken with help of my Inuit Guides Charlie and Mosha, at Ellesmere Island, Nunavut, High Canadian Arctic. 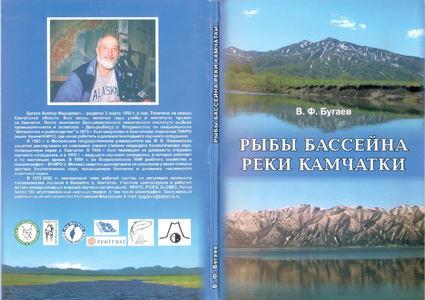 The Fishes of the River Kamtchaka – Victor Bugaev – 2007 – In his book, Victor (Doctor in Biology) presents a scientific study of the Fishes of his region: the Kamtchaka Peninsula (Far East Russia). I have been there 3 times in order to take some photos of local Brown Bears and Victor selected few of my picures to illustrate the main predador of the Fishes he studied. 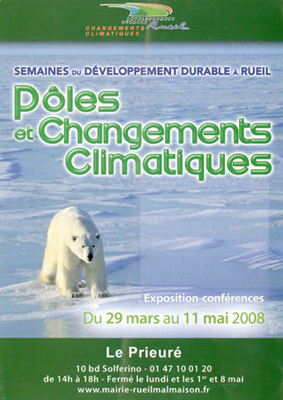 Exhibition held Spring 2008 in Rueil Malmaisons (France) targetting to explain to attendance, the impacts of climate changes on Arctic Wildlife and Environment. Many of my pictures taken in Nunavut had been selected to introduce today Arctic Biodiversty and Lanscapes. 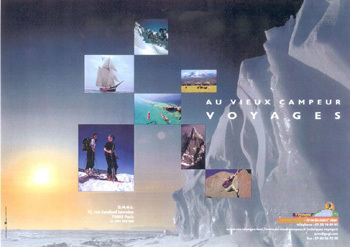 Cover of the first issue of the Travel Agency “Au Vieux Campeur Voyages” commercial leaflet. I had taken the picture of the iceberg at the background at Ellesmere Island, Nunavut, High Canadian Arctic.